Mace has announced the sale of its development site in Sheffield to Cassidy Group. 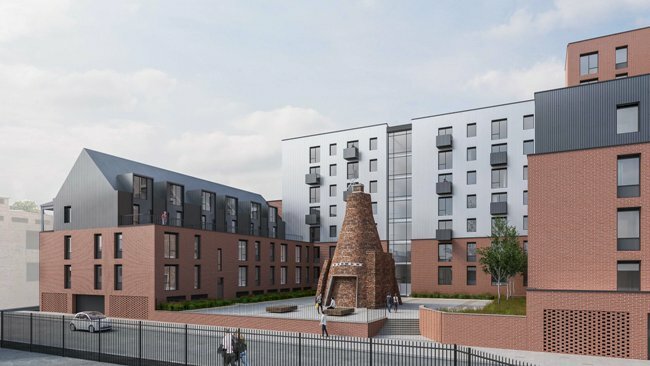 The site – located in the North West of Sheffield City Centre and within walking distance of the University of Sheffield – was granted planning permission in September 2018 for 658 student beds and 247 residential units. The residential element of the development is made up of studios, one bed and two bed flats all set around a landscaped courtyard. The student scheme will comprise studios, cluster flats and townhouses, and will additionally benefit from dedicated, private open space. The project has been designed by Jefferson Sheard Architects, working out of their Sheffield office, and CBRE Manchester advised Mace on planning. Cassidy Group is an international development company based in Meriden in the West Midlands. The company has delivered development schemes across the UK and in Europe. David Grover, Mace’s chief operating officer for development, said: “This sale reflects the strength of the market in Sheffield – things are moving really quickly and there is clearly huge potential for further development and growth in the city. Patric Cassidy, director of the Cassidy Group, said: “It was a pleasure in working with such a professional company as Mace. In terms of program we are on site demolishing the original HSBC head offices ready to make a construction start on site in February 2019 and will hand over the 658 student bedrooms in September 2020 and the 247 PRS apartments later that year.